A wonderful excerpt from the poem 'The thinker as Poet' (1947), by Martin Heidegger. The Gildan 64000 Softstyle® T-Shirt is the best selling Unisex T-Shirt made by Gildan as part of their Softstyle® range. Softstyle® means the fabric of the garment is 100% ring spun jersey cotton, 153gr/m2 (4.5 oz/yd²) and 30's Singles Yarn. Or you could say - smooth, soft, reasonably lightweight and made with fine yarn. It is a great t-shirt and slightly fitted, Gildan call it a Euro fit, as opposed to the standard bigger, more boxy T-shirt. - Style runs small, you may want to consider sizing up. To select a t-shirt that fits well, pay particular attention to its size and styling. For best fit, we recommend measuring (flat on a table) a t-shirt that fits you well and compare to our garment size specifications chart. Our Science T-Shirts are handmade using heat pressed vinyl on Gildan 64000 Softstyle® T-Shirts. Available Sizes: S, M, L, XL, 2XL, 3XL. Sizing Tip: Style runs small, you may want to consider sizing up. To select a t-shirt that fits well, pay particular attention to its size and styling. 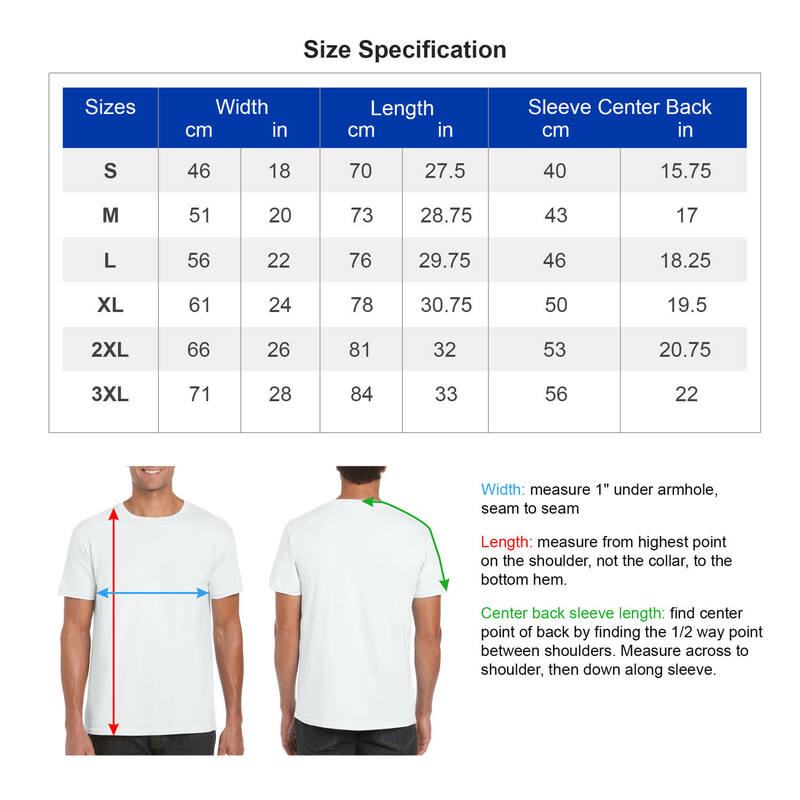 For best fit, we recommend measuring (flat on a table) a t-shirt that fits you well and compare to our garment size specifications chart, available in every listing. 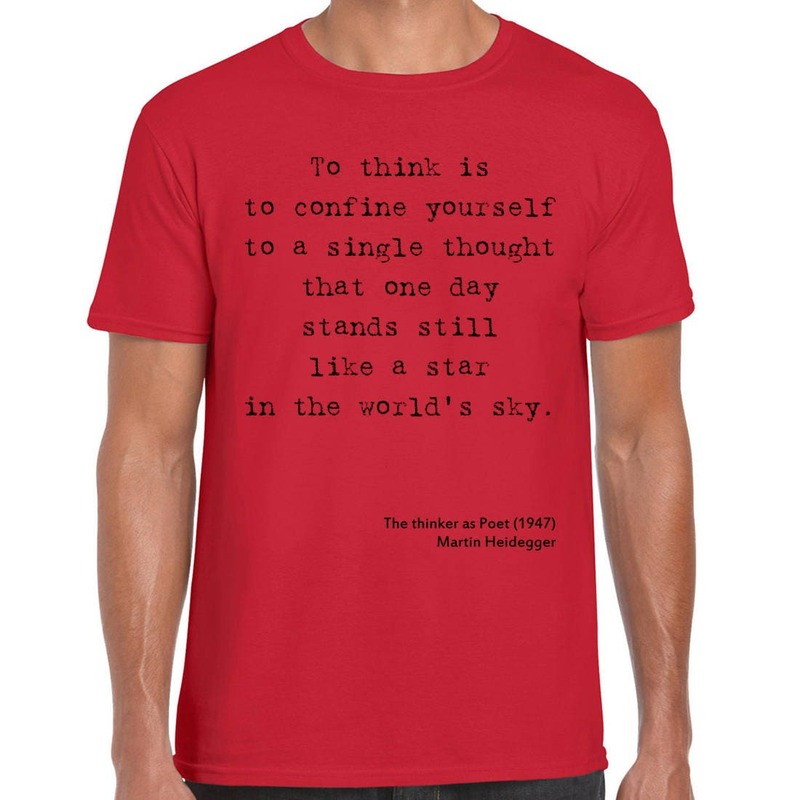 We offer many custom options that can help you create your custom t-shirt. 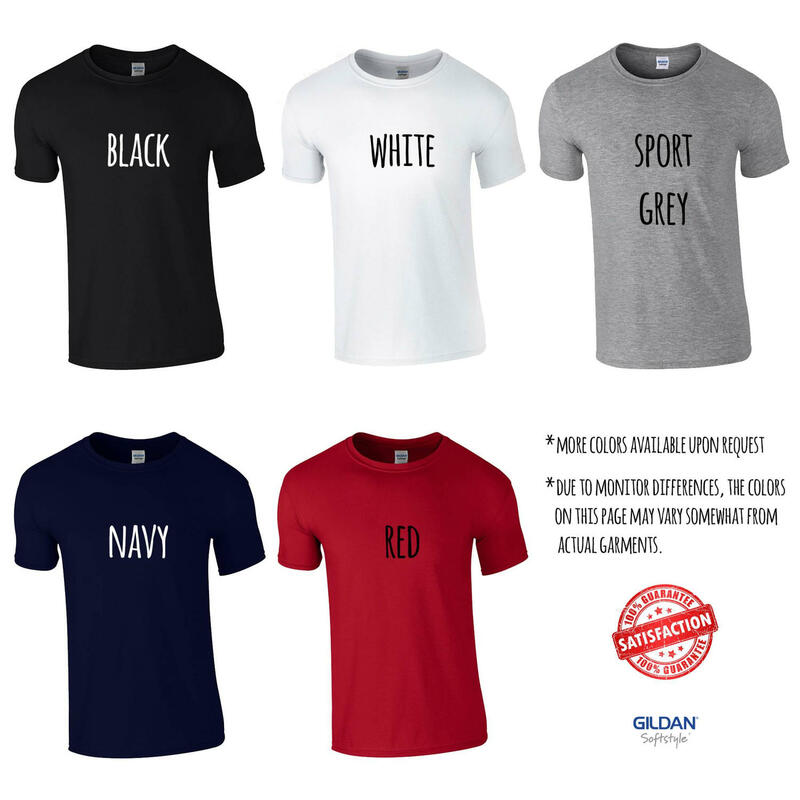 You can choose a different t-shirt style from a wide range of well-known t-shirts, and select a different color. Just convo us and we will be happy to help you. Warm machine wash up to 40 degrees Celsius/88 degrees Fahrenheit. Do not bleach. Tumble dry. Warm iron. Do not dry clean. Our t-shirts are folded with love and care, and shipped in a recyclable protective polythene mailing bag for safe transit. All apparel come with printed care instructions. Gift wrapping is available upon request. Our Science T-Shirts are handmade using heat pressed vinyl on Gildan 64000 Softstyle® T-Shirts. This is the best selling Unisex T-Shirt made by Gildan as part of their Softstyle® range. The fabric of the garment is 100% ring spun jersey cotton, 153gr/m2 (4.5 oz/yd²) and 30's Singles Yarn. Or you could say - smooth, soft, reasonably lightweight and made with fine yarn. It is a great t-shirt and slightly fitted, Gildan call it a Euro fit, as opposed to the standard bigger, more boxy T-shirt.